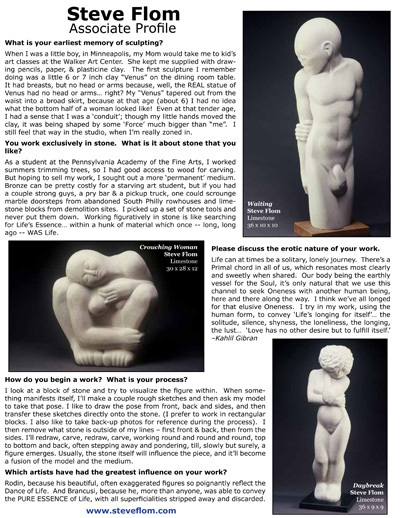 What is your earliest memory of sculpting? doing was a little 6 or 7 inch clay “Venus” on the dining room table. still feel that way in the studio, when I’m really zoned in. ©2014 All images are copyright protected by the artist Steve Flom.